I have never been a huge Black Sabbath fan but they were a force to be reckoned with early in their career. I feel sorry for young people today that only know Ozzy as the addled, burned out, old man that he is today. This post is for those folks so they can see and appreciate Ozzy in his prime. This concert was recorded in 1970 between the release of their first, self titled, album and the US release of Paranoid, their killer second album. This is Black Sabbath at the height of their power and it is something that everyone should watch, fan or not. Here is the setlist….. If you don’t trust my opinion about this footage, maybe you will trust what Andy Greene had to say about the this 1970 concert and video in Rolling Stone last October…. 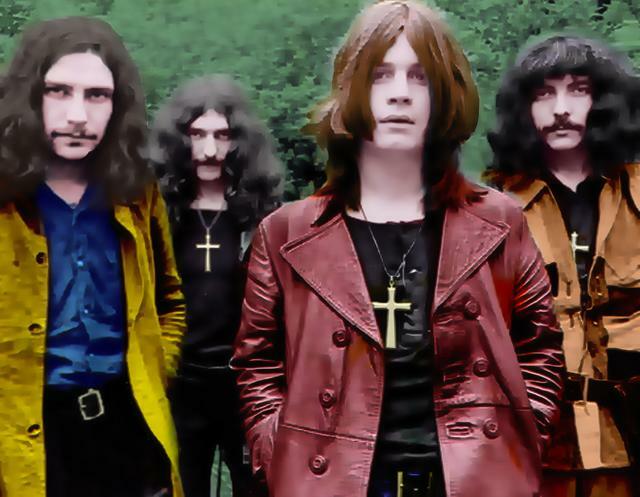 Nobody knows exactly where and when this incredible 1970 Black Sabbath TV broadcast was taped. For many years bootlegs have claimed it was recorded on December 20th, 1970 at the Olympia in Paris, but knowledgable fans have pointed out the venue is way too small to be that theater. Some think it might be from Belgium in October of that year, but it’s very hard to say for sure. It hardly matters. The pro-shot video captures Black Sabbath at the absolute peak of their powers. Paranoid presumably had only been on shelves for a matter of months (or even weeks), and the material is still fresh and shocking. Within a few years drugs, infighting and ego would start tearing the band apart, and the work suffered immeasurably. “We’ve got a number now called ‘War Pigs,'” Ozzy says midway through the show. “It’s a number off our new LP. Hope you like it, thank you.” They proceed to tear though a nearly eight-minute version of the song that is absolutely explosive. Interestingly, the second and third stanzas of the song differs from the recorded version, perhaps providing evidence this show was cut before they finished the song in the studio in June of 1970.